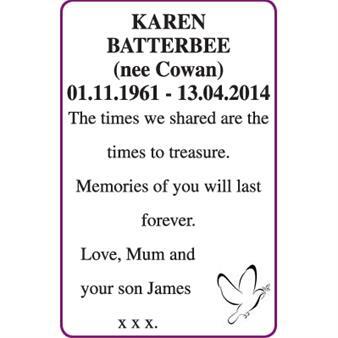 KAREN BATTERBEE (nee Cowan) 01.11.1961 - 13.04.2014 The times we shared are the times to treasure. Memories of you will last forever. 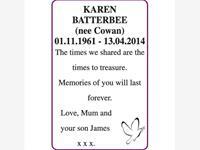 Love, Mum and your son James x x x.